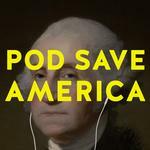 Previously on Pod Save America for the first Podsgiving they talk to the founder of Run For Something, Amanda Littleman. Claire McCaskill talks The Donor Relief Act of 2017 and Danny, Tommy, and Jon Lovett talk about the allegations against Sen. Franken. Crooked Conversations - Will Women Save America? : A conversation between Stephanie Shriock of Emily’s List, Erin Loos Cutraro of She Should Run and Crooked Contributor Erin Ryan about the groundswell of women running for public office in the wake of the 2016 election. Ira Madison III visits on With Friends Like These to talk about #MeToo campaign and John Moe talks self-care with host Ana Marie Cox. Tommy Vietor talks Mugabe and Zimbabwe with Ambassador Johnnie Carson on Pod Save the World and talks about the Middle East and Saudi Arabia's proxy war with ISIS Expert Rob Malley. Pod Save the People - This is Personal: DeRay, Brittany, Sam and Clint talk about this week’s news including, #metoo, the current tax bill, a study on the impact of teachers of color and the so-called “digital Muslim ban.” Andy Slavitt joins for a brief update on the GOP snuck health care changes into the latest tax bill, and DeRay talks with Glenn Martin of Just Leadership USA about closing Rikers Island Jail in NYC and the justice system more broadly. Majority54 launches with Jason Kander talking about Ferguson with Missouri politician Bruce Frank and giving tips on how to talk about race and politics with Republicans. He also talks Trump and the Intelligence Community former CIA officer A.J. Twombly. Finally, on Lovett or Leave It talks with Andy Cohen, Franchesca Ramsey, and Daveed Diggs about reality tv and social media and their impact on politics. He also confuses Van Jones with comics trivia questions while Langston Kerman takes over the show. Missed last week due to the holidays. We'll try doing this on Monday. How is Majority54? I'm interested but don't know if I want to add another political podcast to my lineup. Majority 54 has the same sound issues as the other pods, the most recent one featured an interview done in a diner so you hear tons of background noise which is distracting. That said, I like it so far. I think the first episode might be a better one to try because the interview was smoother. Sound issues aside, it felt like Kander didn't clear what Twombly could and could not talk about regarding her CIA work so there were some questions that didn't go anywhere. However, if you're interested in spy stuff you might want to give that 2nd episode a listen anyway as it was interesting what she could talk about.